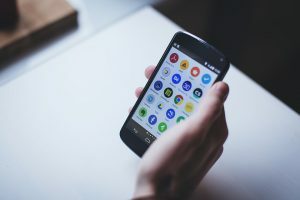 With billions of mobile phones in the hands of clients and potential clients, more business owners are finding it necessary to develop a mobile app. What most don’t know is that app development is not as straightforward as it seems. There is a lot involved behind the scenes and developing a sound app that delivers results means more than just choosing the right team of designers and hoping the app goes viral. In this article, we’re going to cover what every business owner should consider before they have their app made. Since an app’s primary function determines what features it will have, it should be the first consideration an entrepreneur should make. As for these features, they should easy to identify and use. Caution should, however, be taken to keep features to a minimum, as too many of them tend to make an app difficult to use. Once an app’s purpose has been identified, the cost of developing it should be figured out. This involves finding out three things, namely, the cost of hiring an app developer, that of fixing bugs that will inevitably crop up, and finally, that of creating and releasing software updates. App development is a make-or-break issue and should always be well thought out. One can either develop a mobile app in-house or outsource the development to app developers. While the former requires one to be well versed in coding practices, the latter can be a tricky affair. Since not all developers are competent, it is wise to first thoroughly evaluate their portfolio and work history. Their former clients can also be contacted for further information if necessary. All apps should be thoroughly tested immediately after development. This is an important stage that is overlooked at one’s own risk. To do this cheaply, employees and friends should be recruited as test subjects and their feedback used to improve the product further. This way, the final product is guaranteed to be bug-free. After successfully testing a mobile app, business owners are confronted with the difficult question of how much to charge for it. Now, if the marketing model involves the use of ads and in-app purchases, it is best to just offer it for free. If it does not, competitors’ prices can be used as a good reference point. How a business mobile app is described on Google Play and Apple’s App Store can determine how well it sells. A typical description should, therefore, be short and sweet. Everything a user needs to know about an app should be explained in a few short punchy and captivating sentences. Every effort should be made to get good press by writing, calling or emailing prominent business bloggers and journalists. Sites like YouTube, Vimeo, and social media platforms like Facebook and Twitter, should all be used to promote an app. These are just some of the factors everybody who’s thinking of having an app designed should consider.